well I decided so much love went into this dessert table for my friend Jessica’s baby shower that I needed to just do a post on the sweets alone! So enjoy the pictures and when your mouth starts to water I can honestly say it tasted as good as it looks! 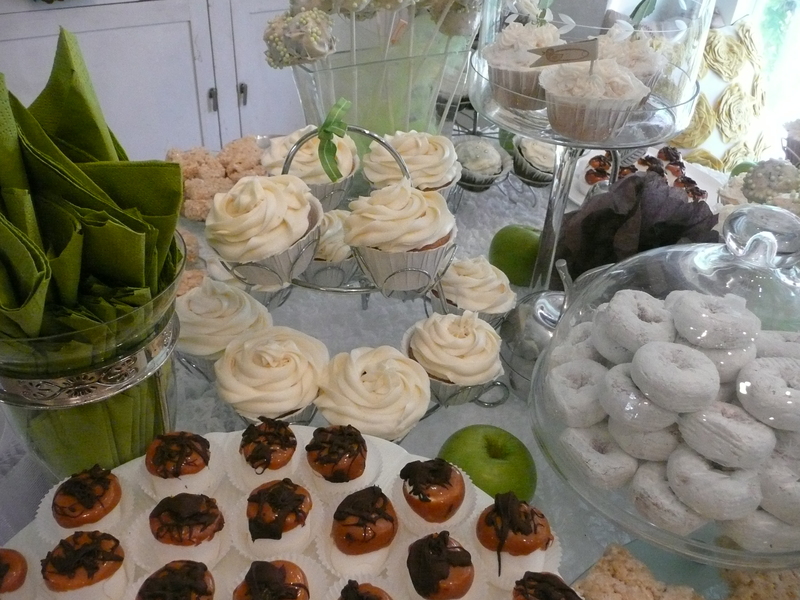 when I was planning the shower I decided I wanted to have a selection of mostly white desserts with a splash of color to match the color theme of white, beige natural, green and chocolate brown! Shown here are white powder donuts (who can say no to these) my vanilla/coconut cupcakes, jumbo marshmallows dipped in caramel, pinch of sea salt topped off with a chocolate drizzle yum so good. The beautiful cake ball pops were a surprise from a sweet friend (Natalie) they were so pretty I put them in vases filled with tulle! 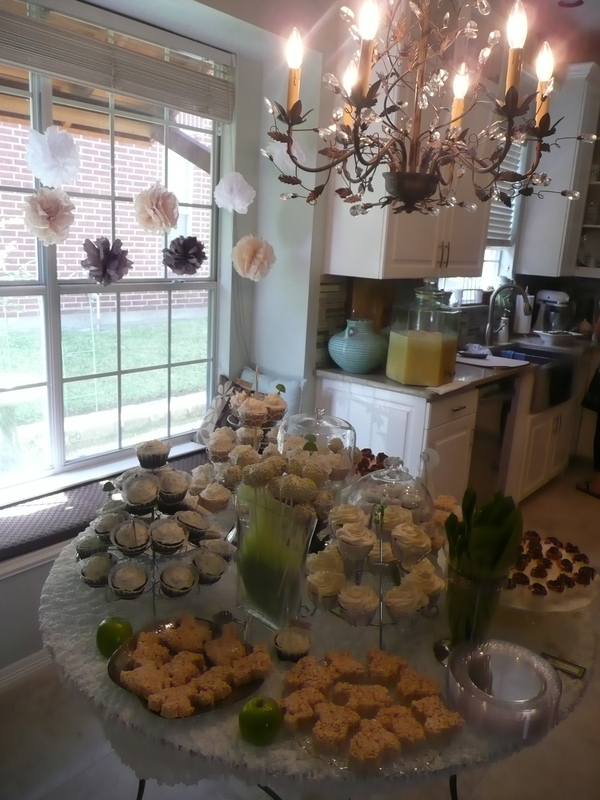 the cupcakes in this shot were made by my friend April they were so beautiful the frosting looked like roses! 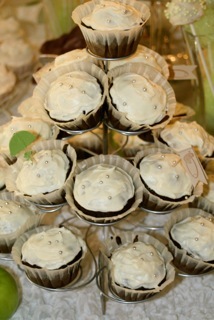 a need for chocolate…frosted white with silver pearls made by my friend Carrie. 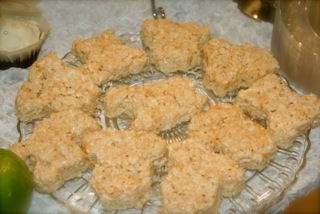 one of my all time favorite desserts… rice krispie treats (gluten free) and my friend Brenda makes the best rice krispie treats, she cut them all into baby themed shapes so cute and yummy! 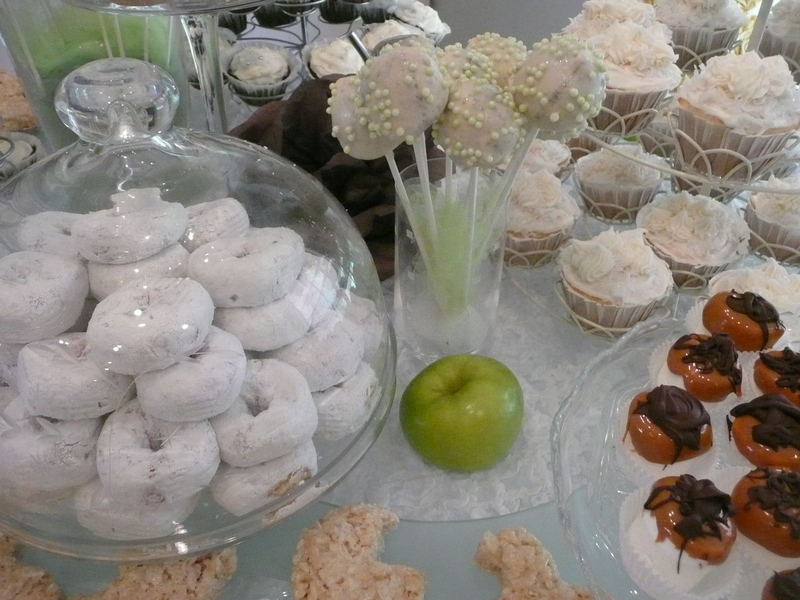 hope you enjoyed the dessert table and it gives you some fun ideas for your next planned event! 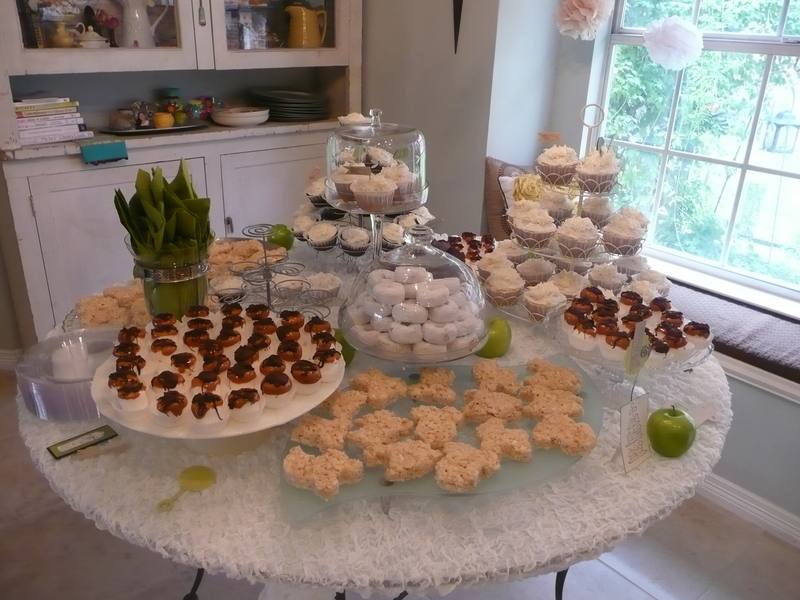 This entry was posted in Food Fabulous Food, Personal Happenings and tagged baby shower dessert table, baby shower theme, cake ball pops, dessert table, powdered donuts, salted caramel chocolate marshmallows, vanilla coconut cupcakes. Bookmark the permalink. my mouth is watering! everything was so good and yummy!